QUEENS, N.Y. (CN) – Nearly 10 years after he left Citigroup in the midst of an internal review, an investment adviser accused of defrauding elderly clients was hit Wednesday with a 99-count criminal indictment. In her first press conference since taking office, New York Attorney General Barbara Underwood unsealed a 99-count criminal indictment Wednesday against a New York investment adviser. 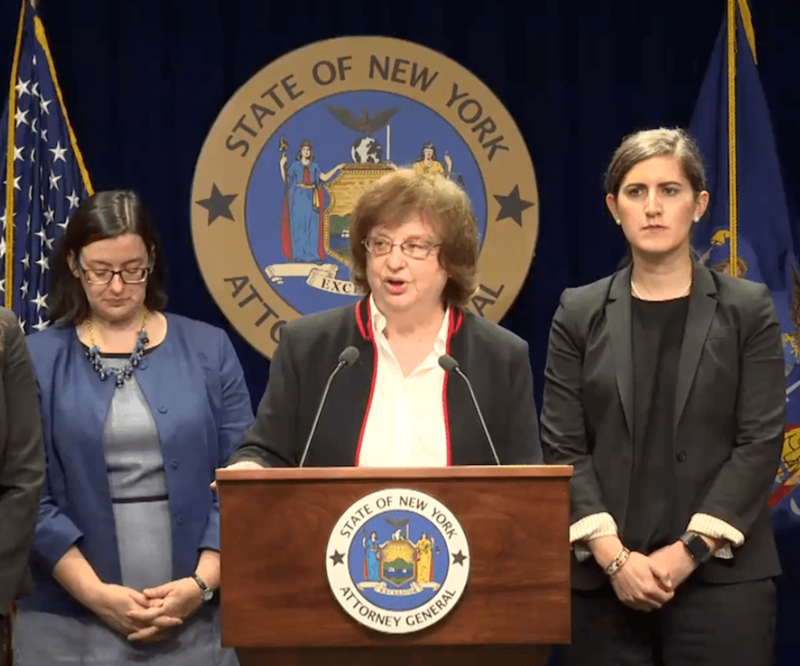 New York Attorney General Barbara Underwood unsealed the charges this morning against Dean Mustaphalli in the first press conference of her term. While 48-year-old Mustaphalli was arraigned Tuesday in Queens, he has spent the last 11 months fighting related civil charges in Manhattan. That complaint explained that Mustaphalli opened his own firm, Mustaphalli Advisory Group, after resigning in 2009 from a Citibank branch in Jamaica, Queens, where he had worked since 1998. Though Citi had fielded what the complaint calls “a flurry of client complaints against him,” Mustaphalli wound up bringing many of his former clients to his new firm. The 2017 complaint accused Mustaphalli of losing about $10 million from the $11 million that 58 clients invested with his hedge fund between 2012 and 2014. Today’s indictment meanwhile says that Mustaphalli brought an additional 22 clients into the fold by 2015 and squandered another $5 million through March 2017. Though prosecutors have been able to recover some of the funds for the victims, Underwood said the clients have only gotten back about 20 cents on the dollar. Represented by Robert Gottlieb of the firm Gottlieb & Janey, Mustaphalli pleaded not guilty Tuesday to the new charges in Queens. Underwood noted that many of Mustaphalli’s elderly clients are residents of Rochdale Village, a Mitchell-Lama affordable housing complex. They had no idea that Mustaphalli transferred their retirement assets to his high-risk hedge fund, Underwood said. Of the $5 million that the new clients brought in, Mustaphalli allegedly lost $4 million within four months. Some of these investors lost tens of thousands, while others lost hundreds of thousands, according to the indictment. Mustaphalli meanwhile diverted $100,000 from the remaining investments to his shell companies, leaving investors with just 30 percent of their original funds, Underwood said. In some cases, Underwood said Mustaphalli forged a client’s initials to certify that they had more than $1 million. Other times, he allegedly only showed the client a signature page. Underwood noted that compensation will be tougher for Mustaphalli’s victims if the state seeks a penalty in the civil case. The civil case was brought by former Attorney General Eric Schneiderman, who resigned his office earlier this month after multiple former romantic partners accused him of physical abuse. Underwood, who had been state solicitor general since 2007, will serve out the remainder of Schneiderman’s term after state lawmakers endorsed her succession last week, making her the first woman in the state to hold the office. As she told the Legislature in her interview, Underwood reiterated Wednesday for reporters that has no plans to run for the office in the election this fall.